Since we started our Care and Mobility shop in Chesterfield, we have been thrilled with the response from our customers. Every day we help people choose items that will help them live independently in their own homes. Our staff are dedicated and hard working and have background of caring – either their own relatives or as a carer in the community. 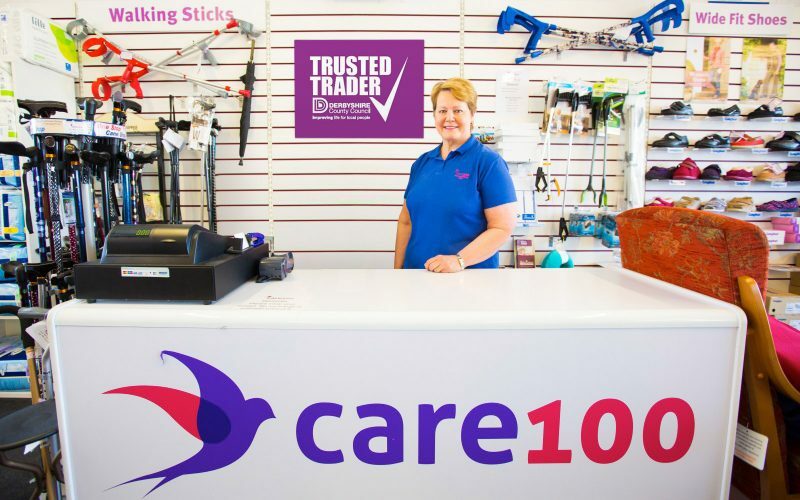 Care100 was set the shop in Chesterfield up over 6 years ago. Since then we have been joined by Colette Dalley and Jan Claridge. Our customers in the Buxton shop will recognise Jan and Colette as they run the business in Buxton. Jan cared full time for her Mum for a few years. We were over the moon when she came to work for Care100 and she has an extensive knowledge of products available. She has also used many of the products whilst caring for her Mum. Colette has worked in a Caring role for many years and again, we were thrilled when she joined Care100. She has now been with us for over a year. I cared for both my parents and feel that between us, we have a vast knowledge of equipment and items that are available and useful for our customers. Our staff do not have targets to meet and they are not paid commission on the items they sell. We will also be honest about the items you can get from the NHS. This entry was posted in Meet the Staff and tagged Meet the Staff.